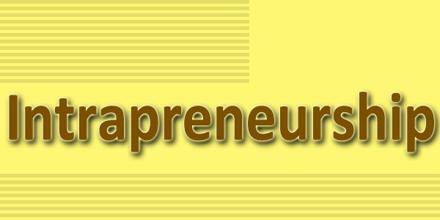 Intrapreneurship is the system wherein the principles of entrepreneurship are practiced within the boundaries of the firm. It allows the freedom of experimentation and growth in an organization. Intrapreneurship applies the ‘start up’ style of management characterized by flexibility, innovation, and risk taking to a secure and stable firm. It focuses on innovation and creativity, and transforms an idea into a profitable venture, while operating within the organizational environment.